The Stacy Phillips-Paul Howard Duet play the Best Video Performance Space on Thursday, Nov. 6. The music starts at 8 PM and the cover is $7. Stacy Phillips and Paul Howard have been elite members of the American acoustic music community for many years. They continue to combine their talents to create an exciting style they call Neo-Urban Traditional Music, a combination of the sensibility of traditional music through the lens of an urban upbringing. 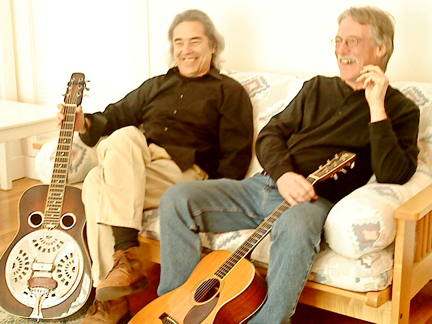 The duo performs a wide range of material—jazz, Caribbean dances, Hawaiian hulas, bluegrass, calypso and East European gypsy music as well as their unique, original compositions. 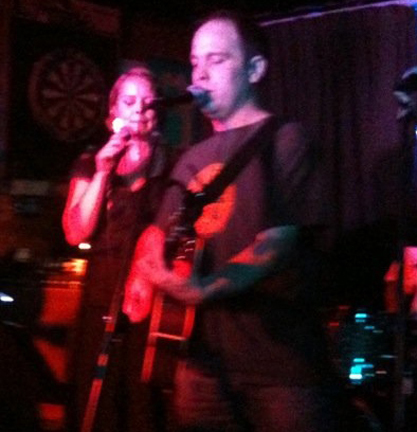 Stacy Phillips and Paul Howard have done several tours of Europe and the West Coast and have two CDs, one self-titled and the other, “Neo Urban Traditions”. Stacy’s playing is celebrated for his singular techniques, eclecticism and humor. He is a regular contributor to several music magazines including Strings and Guitar Player and is the editor of the online magazine Fiddle Sessions. He is also the author of over thirty music books dealing with various aspects of violin and dobro playing which are acknowledged as the standards in their field. 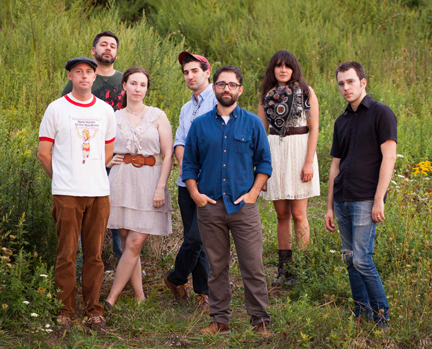 Paul Howard is a veteran of the New England music scene. He has three guitar instruction books and two videos published by Alfred Publishing . Paul brings an energized vocal and guitar style drawing from swing, country, jazz and pop to the duo. He is one of the finest rhythm guitarists in the world. What is “psycho-folk?” The best way to find out is to come to the BEST VIDEO PERFORMANCE SPACE this Thursday, Nov. 15, to see and hear New Haven band Milksop: Unsung. Members of the group are Dan Carrano (mandolin, acoustic guitar), T.J. Jackson (acoustic guitar, banjo), Gary Velush (upright bass) and Mike Paolucci (percussion). With that instrumentation, it should be no surprise that the band’s roots are in bluegrass and Americana. But they put their own 21st-century twisted twist on those forms. Milksop: Unsung play at 8 PM on Thursday, Nov. 15. Cover charge is $5. 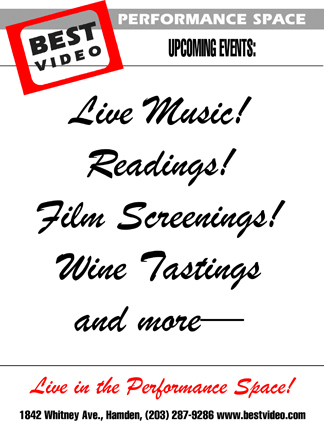 The Best Video Coffee & Wine Bar will be open, serving specialty coffee drinks, wine, beer and snacks.